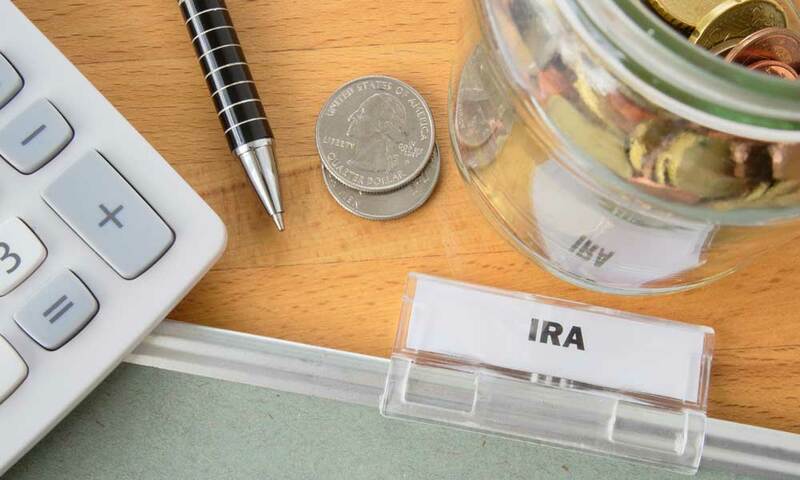 Home » Retirement Planning » What Is An IRA? Simply put, an IRA, or Individual Retirement Account, is an investment opportunity where you save money for a retirement in account with tax benefits. It’s somewhat similar to a 401(k) account in that it’s designed for individuals to save money for their future, but it’s a relationship directly between a person and a financial organization with no employer involvement. An IRA misses out on some benefits of a 401(k) like a company match, but it does carry plenty of advantages of its own. And it can be one of the most powerful tools to help you reach your retirement goals. Why is an IRA Important? For a lot of people, planning for retirement begins and ends with their employer’s 401(k) account. They tuck money away and worry about it later. There’s nothing wrong with the passive approach of a 401(k) because saving anything for retirement is helpful. But for people who want to grow their nest egg a little more or for the 35 percent of working adults without access to a 401(k), there’s the IRA. Many financial experts suggest that you will need about 70 percent of your average annual working income in retirement to live comfortably. And in many cases, Social Security and an employer-sponsored 401(k) together won’t be enough. That’s where the IRA comes in; providing another venue for financial peace in retirement. The good news is, you can contribute to both an IRA and a 401(k) simultaneously, letting you not only invest more money but invest in different categories and take advantage of excellent tax benefits. There are two main types of IRAs to know about, each one with their own advantages. Traditional IRA: A traditional IRA involves taking money pre-tax, setting it aside in an account to grow, and then withdrawing it once you hit retirement age. One of the most significant benefits is that many retirees find themselves in a lower tax bracket than when they worked, so the money will not only have grown but will be taxed at a lower rate. Roth IRA: Introduced in the 1990s, Roth IRAs are relatively new to the investment scene, but they’ve proven very popular during that time. The most significant difference with a Roth IRA compared to a traditional IRA is that you invest money after taxes, so the funds will be tax-free when they’re paid out. The only stipulation is that the money can’t be taken out until the age of 59½, at which point it’s both penalty and tax-free. The actual limit varies from year to year, but the current limit that can be contributed to a traditional IRA or a Roth IRA annually is $5,500 for filers making less than $189,000. The limit is $6,500 annually for those aged 50 or over. While not considered an entirely separate class of retirement savings, it’s also important to be aware of what’s known as a rollover IRA. A rollover IRA functions just like a traditional IRA but is an account for money that is seamlessly transferred from another retirement plan, like a 401(k) from a previous employer, to an IRA. When you invest money in an IRA, you can choose one or a mixture of several different opportunities, including stocks, bonds, index funds or mutual funds. People who are a long way off from retirement and can afford some risk will probably want to lean more toward stocks because of their sizeable earning potential. People a little closer to retirement will probably want to consider safe vehicles like bonds and CDs, where you won’t gain much, but you won’t lose either. Perhaps the most popular IRA investment vehicle is the index fund, which is a professionally managed portfolio of stocks that are combined following a market index, such as the S&P 500. These funds remove the risk associated with investing in individual stocks. In these cases, you can remove money from a Roth or a traditional IRA account without the 10 percent penalty. You will still be responsible for paying the taxes on the amount you withdraw though. There is one small advantage to a Roth IRA when it comes to withdrawals. If you have had the account for less than five years, you can withdraw penalty-free (but not tax-free) under the age of 59½. Perhaps the best thing about an IRA account is that these accounts are available to anyone with income and even the non-working spouses of people with income. You have to be under the age of 70½ to open a traditional IRA, but anyone can open a Roth IRA. Whether you use it in addition to or in place of a regular 401(k) account, an IRA is a leading choice for retirement planning. It does require a bit more management on your own than a 401(k) does, but it’s worth the time. There is a limit to the amount you can save each year, but if you’re able to hit that annual maximum as is strongly recommended by any financial expert, you’ll be in a good position in retirement. How Do I Open An IRA? What Is A Nondeductible IRA? What is a Self-Directed IRA? What Is A Gold IRA Rollover?